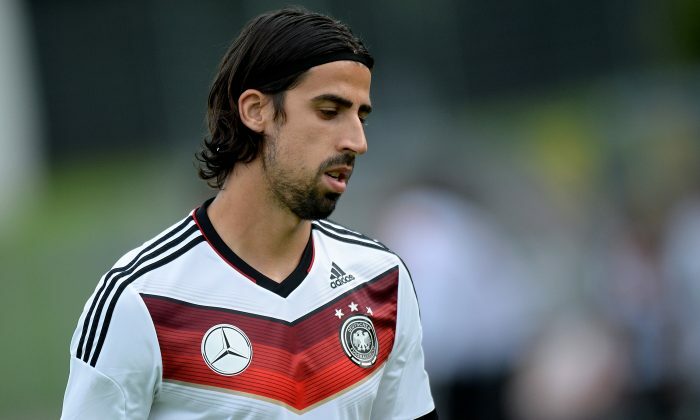 Sami Khedira Transfer News: Arsenal, Chelsea, Man United in for Real Madrid Midfielder? Sami Khedira could be on his way to the Emirates Stadium. Arsenal boss Arsene Wenger is supposedly making a £23 million bid for the 27-year-old Real Madrid midfielder. Wenger believes that Khedira will link up well with his former Real Madrid and Germany international team mate Mesut Ozil. Chelsea and Man United are reportedly also keen on the former Stuttgart player. RIO DE JANEIRO (AP) — The best is yet to come from Germany. That was the promise, at least, from coach Joachim Loew ahead of Friday’s World Cup quarterfinal against France at the Maracana Stadium. While Germany looked impressive in a 4-0 win over Portugal in its opening match, the three-time champion struggled in its next games, being held to a 2-2 draw by Ghana, edging the United States 1-0 and needing extra time to beat Algeria 2-1. Still, Germany is contesting its ninth straight World Cup quarterfinal. “We have not yet delivered our best possible performance,” Loew said Thursday. “But I don’t think anyone has reached their absolute top performance yet. An element such as this: seven Germany players have been struggling with illness. Germany played its group matches in the warmer, northeastern climates of Salvador, Fortaleza and Recife then faced Algeria in the second round in cool and damp conditions in the southern city of Porto Alegre. “Perhaps they got contaminated from others, or maybe it was the difference in temperatures, or the air conditioning,” Loew said. Center back Mats Hummels missed the Algeria game due to illness but Loew indicated he’ll be back against France. Likewise, midfielder Bastian Schweinsteiger is expected to return from severe cramps after being substituted against Algeria. The only Germany player ruled out is defender Shkodran Mustafi, who will miss the rest of the tournament with a left hamstring injury. Against Algeria, Germany struggled when it lost possession and Algeria put together swift counterattacks. While France is aiming to exceed expectations, Germany had loftier goals from the start.